Home / blog / Camp is in Session! School is now officially out for the summer, and if you listen closely you might just hear the sound of barbecues lighting up, splashes in swimming pools, and Dixon Hall welcoming our summer campers for 2017... and their new camp counselors! 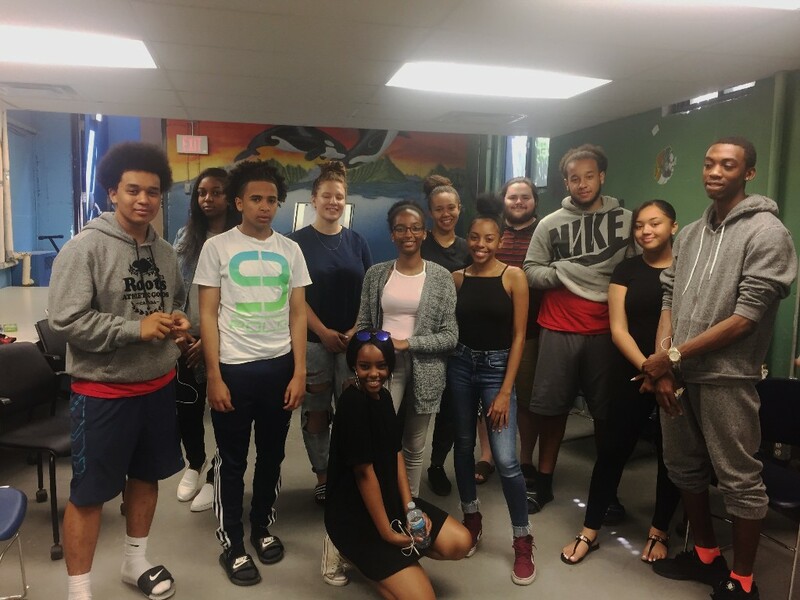 Our counselors, aged 16-17 are all familiar faces in the Regent Park community. Some spent their summers as campers with Dixon Hall, now moving into the counselor and mentor role as adolescents. And for many, this is their first job.. and their first paycheque. For youth in Regent Park, having a summer job can be particularly meaningful. It's an opportunity to develop leadership and employment skills transferable well beyond the camp counselor role. It's an opportunity to give back to their community, save money for post-secondary education and long-term career goals. It's a chance to mentor youth in the community who mirror many of their own experiences, growing up in Regent Park. Patience, understanding and responsibility are invaluable skills regardless of age and serve all of us to develop across the many facets of our lives. We wish all of our campers and camp counselors the most of their time together. Summer break is a very special time as a kid, bright with possibility, long and sunny days, and seemingly never-ending fun. Thank you for your support of Dixon Hall and giving us the privilege of sharing what it means to be a camper and what it means to be a counselor with the youth in Regent Park. Find out how we're working to create a city where everyone thrives, and how you can support us by signing up for our eNewsletter.